“When it comes to legal mistakes made by foreigners in Costa Rica, José has just about ‘seen it all before’ so I would encourage you to take note from his experience.” Scott Oliver. “I have lived in San José for 40+ years, but have traveled extensively to the US, Chile, Argentina and several countries in Europe. Apart from my native Spanish, I speak fluent English, and fairly understandable Italian. I have been an attorney for 25 years and have a Master’s degree in International Business Law and almost all my clients have been and are US citizens. If you described my intellectual capacity as normal, I would agree, but even with all my travels, studying different languages and having a good formal education and a successful legal practice, this has not helped me decipher why Gringos make the mistakes that they do in Costa Rica. Just this week an old client of mine made his worst legal mistake in Costa Rica so far. He entered into a legal contract to give a high commission to a local ‘attorney-turned-into-a-mortgage-broker’. In order to help him find a ‘better deal’ for some substantial mortgages he needed to fund to help with a new business. He negotiated and signed a contract without speaking a word to me, nor to his local manager. His properties are under the threat of being frozen by the court and his ‘enemy’ has also, – through very dishonest tactics – stopped all his negotiations with the local banks. My client is so desperate that he is willing to pay a ridiculous amount of money to his counterpart to get rid of him. And only now he asks for my opinion! Just one short phone call would have been enough to help him avoid such a disaster from day one! Costa Rica Law – Top Gringo Legal Mistakes. Do not do anything you would not do in your own home town. A lot of foreigners seem to believe they can outsmart the system when they come to a less developed country. Or, it just may be the kind way most Costa Ricans behave with ‘gringos’, which turn them into wishful thinkers. It is best not to try the Do-It-Yourself method! Some people, in trying to save some dollars in legal fees, avoid the work of finding a good attorney to guide them through their problems. Do not do that! Do your homework. Find an attorney you feel comfortable with and stay with him for as long as he does a good work. Once I had a client call me on the phone to tell me he had just bought a car, that he had already done all the paper work with the seller’s attorney. Right there, while we were still speaking on the telephone, I checked the license plates on-line to discover that the car had a lien against it for almost half of its value. My client said he trusted the seller, because he ‘felt’ that ‘he’s a good guy’. He was so convinced he was a ‘good guy’ that when he went back to the USA, he actually left the car with the seller to be cared for while he was gone. Bottom line? My client paid this guy in full, the debt was never paid, the creditor foreclosed and the car was seized and later sold in a public auction. All my client needed to do was to make one phone call to me before buying the car and he could have avoided all that pain and hassle. This same client, while all the troubles with the car were going on, still believing that his ‘friend’ was honest, started a business with him exported a shipped container with two used 520i BMWs, some harvesting equipment and other items to be sold in Costa Rica. Do I need to tell you what happened with the proceeds of the container? I don’t think so. But there is even more. While this crook was still around and promising my client that he would pay him, I strongly advised my client to press criminal charges right away. But no! My client ‘knew’ that this guy was a ‘good person’, that he was honorable so he did not want to press charges. Not until a year or two later, when the thief had totally vanished from the scene. Do not rush into the decision of hiring an attorney! If you are thinking of investing in Costa Rica, like it or not, hiring a local attorney is a must for you. It does not matter if you are just buying a car, a home or planning to set up a million dollar business. You will need an attorney. Consider the legal fees as your insurance premium because that’s really what it is. Today, you will pay a fraction of what it will probably cost to try and fix that problem later on if you do not have an honest attorney to guide you. How can you find a good attorney? You can find a wide range of attorneys, from attorneys working at the big law firms, with political connections and Washington-like hourly fees, to solo practitioners. Would a ‘general practice’ attorney do the job for you or do you need a specialist? The US Embassy in San José has a list of attorneys you can access over the internet. Make appointments, go to their offices, interview them and evaluate your options. Once you have narrowed it down to a few ones that you like, call the Costa Rican Bar Association and inquire if they are in good standing or if there are any disciplinary actions that have been filed against them. Then once you have decided, ask the attorney to write down a contract for his services, with a clear indication of both parties’ obligations and the method that will be used to charge his fees. Do not think of buying Costa Rica real estate and only follow the real estate broker’s advice! In Costa Rica, real estate brokers are not licensed in the same way they are in United States. Some of them are real professionals, but a lot of them are just ‘enthusiastic’ sales people. In either buying or selling real estate, you will probably have a need for a broker’s services, but even if your Costa Rica real estate agent is first class, have your attorney on board and have him supervise the process. Do not blindly trust your own country men! Just because they have been here more time than you have. I have seen that US citizens being conned by US people and, Canadians by Canadians and so forth. Be careful! There are a whole lot of strange people in this country, some of them fleeing from FBI, Interpol, ex-wives and even from mental institutions. I worked (for a very few weeks) for a New Yorker. He had an impressive knowledge of the stock market, had some good connections ‘up North.’ But as smart and business literate as he was, he had also some pretty odd ideas and switched back and forth from intelligent to ‘coo-coo’ in a matter of seconds. Turns out he was in fact a former NYSE floor broker that burned himself out in such a way that he had been placed in a mental institution, from where he escaped. He was in hiding in Costa Rica and to put it more specifically, he choose to hide in my own office; until I kicked him out, of course. Your Voice Is Missing From This Conversation! Please give us your opinion at the bottom of this article. Gentlemen! Please remember that you do not, I repeat, do NOT need to marry the first beautiful Tica (Costa Rican woman) that you meet! Right now I am trying to help a guy, who married the first Tica who was friendly to him. After falling in love with Costa Rica he moved US$500K down here, he bought a US$380K home in a fancy area of town and kept some cash to live. Then he moved some more money down, bought another piece of real estate and a mid-size condo. Later on, he also managed to buy a five story building downtown. In the meantime, he had three children with the lady and took care of another son this woman had from a previous marriage. By the time things went sour, the woman had managed to persuade the gringo into transferring the real estate into her name, a local US$200K CD into her name, US$120K NYSE stock portfolio in to her name for asset protection and tax avoidance purposes…. Well now that she has kicked him out, she has it all! Plus half of his US$1,900 monthly US pension that she now receives directly from the Consulate, plus a house she bought for her sister. She is also suing this smart fellow for alimony. He has been served process and is under legal obligation to pay her $600 + per month so he can not leave the country and he is threatened every month with being put in jail if he does not pay. Needless to say this has become a serious cash problem for him and as I write, he has abandoned his condo and is hiding to avoid the constant visits by a local policemen who likes to remind him that he is late with his payments. And he lost it, because never took care of it. This is a common story in Costa Rica. Again, please remember that our legal system is different. First Case: A US citizen came down many, many years ago to Costa Rica , he loved the country and went south to explore more of the ‘wild’ parts of this land. After scouting the place, he bought a big piece of Costa Rica land on a small island. Happy with his purchase, he went back to his home town, were he lived happily for the next 15 years, until one day he remembered he had a nice piece of land in Costa Rica . He took a plane and came to check how his ‘Ponderosa’ was doing. Do I have to tell you the rest of the story? The son of the guy he left in charge was now the owner of whatever was left after he sold the rest of it. It wasn’t even worth litigating, it was lost for good. Second Case: Another US citizen, got in contact with Costa Rica through a friend who used to work for the Standard Fruit Co. He came down several times and also fell in love with the place. After looking around for a while, he found an area he liked and bought two adjoining lots in a high class residential area. The properties were registered, as joint tenants for him and his wife. The couple went back to the USA and had given the ‘administration’ of the lots to a ‘Trust Company’ in the Cayman Islands, who actually did nothing. Simple! 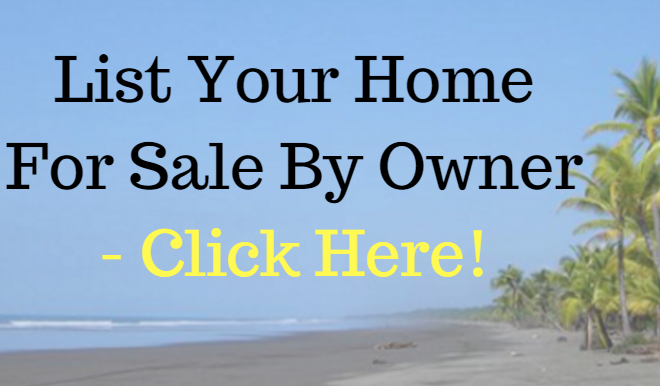 If you are ready to buy Costa Rica real estate or Costa Rica land, you have to take care of it. And I mean physically, you have to have the actual and real possession of the land, otherwise it can be a mess to recover. South of the border… Not everybody here wears a big Mexican ‘sombrero’ and has big bushy moustaches and not all the ladies are named “Juanita Bonita’. South of the Rio Grande , you will find: México, Belize, Guatemala, Honduras, Salvador, Nicaragua, Costa Rica, Panamá, Colombia, Perú, Paraguay, Uruguay, Argentina, Chile and Brazil. All of them are different countries, with a different history, different people, and different laws. Just last week a Canadian client called me to ask about a conversation we had in late August of past year. He had some money here, being managed by one of the local brokerage houses. In the past year he got the idea of sending a fax to the broker, asking him to purchase on the Costa Rican Stock Market Exchange some US$20,000 in shares of a Mexican Pineapple Corporation. Upon receiving the fax the broker immediately answered, letting him know, very kindly that Mexican and Costa Rican Stock Markets are different, and that as such, he could not execute that order. My client never received the fax because he does not have a fax number of his own, so, he send his fax note from a public faxing service in Canada. Of course, when the broker replied to that number, sure enough, the communication ended up in a waist basket. But that is not the end of it. Without the smallest hint of whose fault was it, my client got very angry and upset, because he said, those shares went up 40% since he ordered the purchase. I will not even waste your time on this matter. If it sounds too good to be true, then yes! It probably is too good to be true. As far as I know, there is nobody on this earth who can give you 45% per annum in a legitimate investment. There is ‘risk’ even with legitimate well known and established private banks. Our banks in Costa Rica are very conservative and quite secure but a few years ago, I helped a client who deposited a large amount of money in CDs, in one local bank. The bank had some cash flow problems, the Banking authorities intervened and then he learned that his investment was not with the local Costa Rican bank but with their ‘offshore’ bank& Which is supposedly on the verge of bankruptcy and most of their monies are frozen at the local bank. They are promising to pay 40 to 50% of his investment within the next 90 days, and for the rest of it, well…, maybe in 2 years, under an administration plan that they are implementing. It was the year 335 B.C. Alexander the Great faced one of his greatest battles. When his army reached the Phoenician coasts, he realized their enemies outnumbered them by 3 to 1. Finally, when they thought the time was right, they sold everything they had in the States, moved down, bought a brand new home on a hill, overlooking the valley. Everything seem so right! Until they got ‘bored’. Yes, bored! Then, they sold everything they had in Costa Rica – at a significant loss of course and went back home. I had worked very hard indeed to process their residency applications before the Immigration Department. It was an unusual case but after a lot of work, I managed to convince the Immigration authorities to give them resident status. On the exact same day that I called them to give them the good news about their residency being approved, they told me they were packing to leave. What was the reason for it all? They had moved to Costa Rica, physically, but never did it ‘mentally’ or ’emotionally.’ For the year or so that they were here, they never made one new friend. They read the same American newspaper that they use to read in the USA, they watched the same TV programs and newscasts, they ate the same food and even drank the same beers (except for the shots of ‘guaro’ at the weekends). They never even tried to learn Spanish (you know that drill ‘we are too old for that’). They knew everything that was happening ‘back home’, but had to phone me (even on weekends) every time they needed to understand what was going on in their own neighborhood. So, if you are really, seriously thinking of moving to Costa Rica, think twice before calling the movers. Plan your legal strategy before you move and make sure you fully understand and accept whatever it is you need to do to make Costa Rica your home. Do you have the courage to burn your ships once you land on this ‘Rich Coast of Costa Rica’? Written by Lic. José Rafael Fernandez who is an Attorney at Law. He is a ‘Tico’, born in Costa Rica , from Tico parents, grandparents and great grand parents. 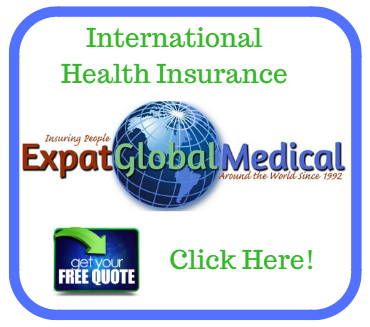 José has been in private practice as an International Law counselor in Costa Rica since 1985. He works mainly with foreign clients from Europe, Canada and the USA who are living in or doing business in Costa Rica. “I wanted to write to you to thank you, and let you know that attorney Jose Fernandez whom you recommended at WeLoveCostaRica.com was just awesome! I contacted Jose for the free 30 minute consultation after I had paid another lawyer to put together my mortgage and transfer agreement documents, and to register my property with the CR National Registry. I could not get the lawyer to respond to me after transferring the legal fees directly into his bank account. He never sent me my signed mortgage agreement or my Plano. I didn’t know for sure if the property had really gone into my name or the mortgage agreement was correctly written according to the Seller’s and my agreement; I was not able to go to Costa Rica this year to check for my self. A note from Scott Oliver – Founder of WeLoveCostaRica.com – “I have known José Rafael Fernandez and his wife since 1999. He is a close personal friend and he has done a tremendous job for the clients that I have recommended to him… José is also listed as one of the attorneys on the US Embassy list of attorneys. Written by Costa Rica Attorney José Rafael Fernández who has been in private practice as an International Law counselor in Costa Rica since 1985. He works mainly with foreign clients from Europe, Canada and the USA who are living in or doing business in Costa Rica. He is the President of the Board for the International Chamber of Commerce in Costa Rica. Arbitrator of Law for the arbitration Centers of the Costa Rican Chamber of Commerce, the Engineer’s Federative Association, and the Costa Rican Bar Association. José is also a Professor of International Public Law at the University of Costa Rica, and Professor of International Arbitration at the Post Degree School of the Universidad Latina in San José (Laureate Universities). We are looking to purchase some properties in CR and searching for legal representation. Please tell us your fees for services. We will be arriving at SJO on the 22nd- staying till the 28th.I would like to set up a meeting to discuss our strategy on the 27th 0r 28th if possible? Thank you for your message, it has been send to Costa Rica Attorney José Rafael Fernández. He will be provide you further assistance from now on. Hi, could you please post on this page, the phone number and link to the website, for the Costa Rica Bar Association? Thanks – Very helpful article. My Aerican investment group wishes to purchase a resort and possibly a casino in Costa Rica. We need advice. Can you help? Great, great, great advice! Its refreshing to hear comments that reflect the reality side of ‘living the dream’ investors. Unfortunately, many times older inexperienced internationally orientated investors are under the ether of the vacation type mentality. These investors many times fail to adhere to the fundamental business logic of any deal where common sense rules. After two years we succeeded with closing out the entire international estate holdings and related financial aspects of this matter to my clients satisfaction. We interrupted an effort to steal the assets of the estate from two distant relatives, three squatters, and a fraudulent POWER OF ATTORNEY document. So I apply my own proverb here regarding investing in a watch dog attorney, ” an ounce of prevention, is worth a pound of cure”. Hiring an honest attorney with specific expertise in real estate law and government regulations is always prudent business move. It saves, time, grief, money, and is truly the best part of any investment strategy. To be forewarned…..is to be forearmed. Happy trails and good luck Gringo’s! Amazing article, highly entertaining and quite informative. Some very useful tips and some other very obvious tips, which is what the article is all about. Not making those silly little mistakes. Please help us in our legal problems that started in January 2018 We sent a 20×14 shipping container from Long Beach California. Port to port, all paid in advance. We listed ourselves as the shipper and reciver on the contract. Upon arriving at port Caldera within the 30 days allowed for pick up of our possessions. Someone changed the Bill of Lading to three (3) different Costa Rica companies as the reciever. Our life’s belongings are still on pallets at Alpi Pac in Caldera.. we have tried three different brokers, two lawyers but still no Answer… Can you help us please.??? Any suggestions on someone who has an ex husband who owes well over 100K in back child support who is residing in Costa Rica (Chiciri? Boquette area)? Child is now in teens has special needs (Autism, learning disabilities,new onset seizures, etc.) and medical and schooling costs are difficult to manage. He will need special services the rest of his life. Any thoughts? Is it even possible to pursue enforcement of my US child support order in Costa Rica? Ex has a law degree , but never passed any US BAR, but had enough savvy to leave the country to avoid child support. He sold everything before he left the states. Any referral would be appreciated.